This day we use the 4 Quadrants to identify a Leaders current way of leading. We start by mapping out the current 4 quadrant profile of each Leader. This process is often complicated to start doing (simply because these areas are so close to us) and often brings up concerns and realisations of just how often we are 'Out-Of-Date'! with our Leadership qualities, perspectives & attitudes and our actions. There is usually quite a void in what we imagine we are like as a leader and how we lead. It is often an eye-opener of a morning with lots of delight and disaster floating around in the room. Leaders start to realise that knowing about the 'gap and any sense of lack is a delightful opportunity toward becoming a more powerful and inclusive operator! 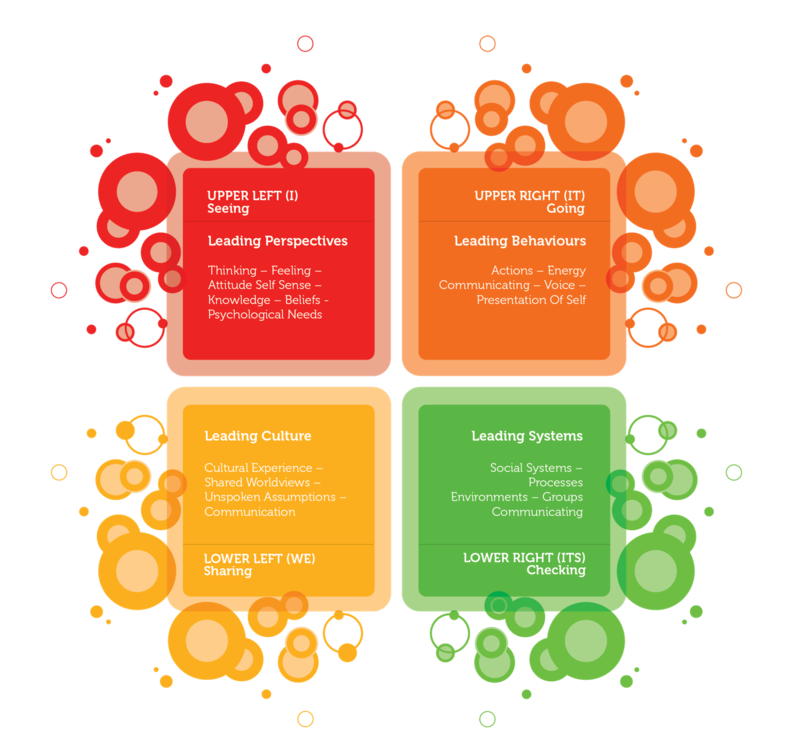 Collective teamwork is engaged during the mid-point of the day to profile, using the 4 Quadrants, an ideal or ultimate Leadership profile for your organisation, a utopian Leader! Finally, the opportunity to map out across the 4 Quadrants a new or different way for the Leader; identifying and energising different attitudes, identity, energy, behaviours and connective processes moving each Leader toward becoming a more Integrally informed Executive, Leader & Human Being. 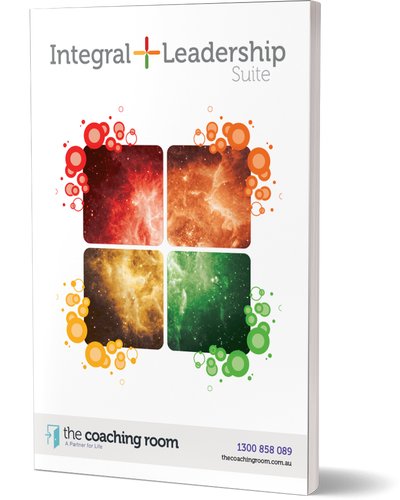 Becoming an Integral-Leader is Day 3 of our Integral+Leadership™ suite. It is delivered In-house usually on the premises of the organisation engaging the program. This corporate Leadership training program can be scaled organisation wide both nationally and Internationally.